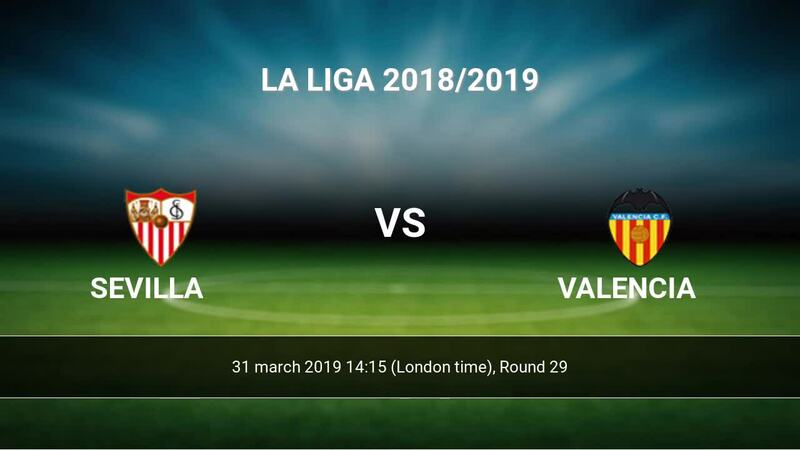 The match Sevilla-Valencia La Liga will start today 14:15. Referee in the match will be Jose Luis Gonzalez. Team Sevilla is located in the middle of the table. (6 place). Form team looks like this: In the last 5 matches (league + cup) gain 6 points. From 2 matches no lost a match. In this season games La Liga the most goals scored players: Wissam Ben Yedder 16 goals, Pablo Sarabia 9 goals, Andre Silva 9 goals. They will have to be well guarded by defense Valencia. Players Wissam Ben Yedder 6 assists, Pablo Sarabia 9 assists will have to be very well guarded by defenders Valencia, because they have the most assists. Injured players Sevilla: Tomas Vaclik, Nolito, Pablo Sarabia, Escudero Palomo Sergio. Team Valencia is located in the middle of the table. (7 place). Last 5 games (league + cup) finished balance 9 points. From 10 matches no lost a match. Players Valencia in La Liga with the highest number of goals: Daniel Parejo 7 goals, Rodrigo 5 goals, Kevin Gameiro 4 goals. Players Daniel Parejo 3 assists, Rodrigo 5 assists, Kevin Gameiro 1 assists will have to be very well guarded by defenders Sevilla, because they have the most assists. Injuries in the team Valencia: Francis Coquelin, Cristiano Piccini, Ruben Sobrino. Direct matches: usually ended with winning of Valencia. 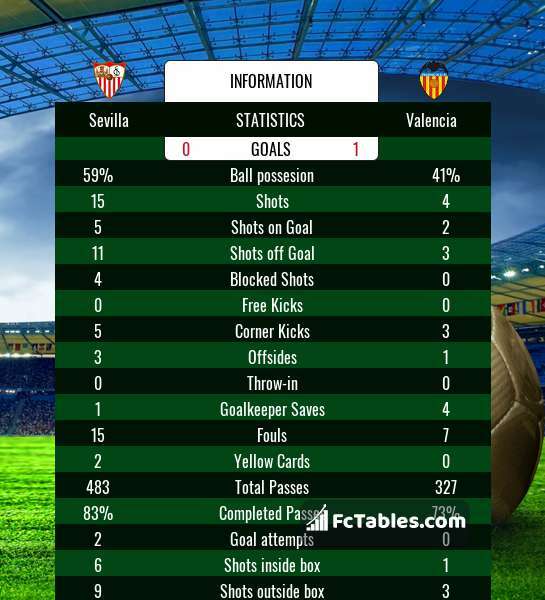 Balace of both teams games are: 17 won Sevilla, 19 wins Valencia, 7 draws. In 20 matches the sum of the goals both teams was greater than 2.5 (Over 2.5). On the other hand, 33 matches teams scored more than 1.5 goals (Over 1.5). In 19 matches the both teams have shot at least one goal.